Time can often be an immeasurable concept in grief. Case in point, our profound loss always seems like it happened yesterday, irrespective of taking place months, years, or even decades before. When my dear son’s precious heart failed after a relatively simple medical procedure, he was taken from this world in what seemed like the snap of a finger. In reality, however, an army sized cadre of skilled doctors, nurses and technicians spent exhaustive amounts of time and effort in trying to revive my Jonathan that fateful morning. When thinking back, as I often do at the uncontrollable whim of my memory, it seems as if one moment I was planning the eventual trip home from the hospital with my child, and the next I was handed my very own Griefcase. It was given to me by the doctor who tried in vain to revive my child. She was certainly compassionate, if not emotional herself, but I wonder if fully aware of what she gave me? After all, only one who has experienced the loss of a loved one knows that there is no “getting over it.” There is no normal any longer, and what was once an unquestioned certainty is no longer even a possibility. Was that doctor, a stranger just a short time before, aware of exactly what was within the Griefcase she issued to me? What is this Griefcase I am referring to? Please allow me to point towards the keyword, “grief.” It is a word that we bereaved souls hear almost ad nauseam once we became a member in this unwanted club. Yet, the word grief is not an emotion, is it? It is not really what we are feeling after our loss. If asked how we feel, we truthfully respond that we feel sad, or angry at the loss. We might feel confused or lonely at the moment, or any combination of feelings that repeatedly pound at us in unending waves. However, rarely, if ever, would we respond to the question by saying we feel “grieved.” No. Grief is not an emotion. Those emotions, at first so overwhelming, if not somewhat debilitating, are handed to us totally against our will. We certainly did not ask for them, and in many losses, such as mine, are given to us by a total stranger. We will carry those emotions with us on some level until we join our loved one again. We carry them within the word grief. Grief is the case that holds our emotions from the loss, and therefore, a Griefcase. Now, if you will allow me a stretch of the imagination, I ask that you think of the old spy movies, where a briefcase was physically handcuffed to the secret agent. Somewhat like that spy’s attaché, our Griefcase becomes a permanent part of who we are. However, unlike that spy, ours can never be removed. There simply is no lock and key to be found here on Earth. 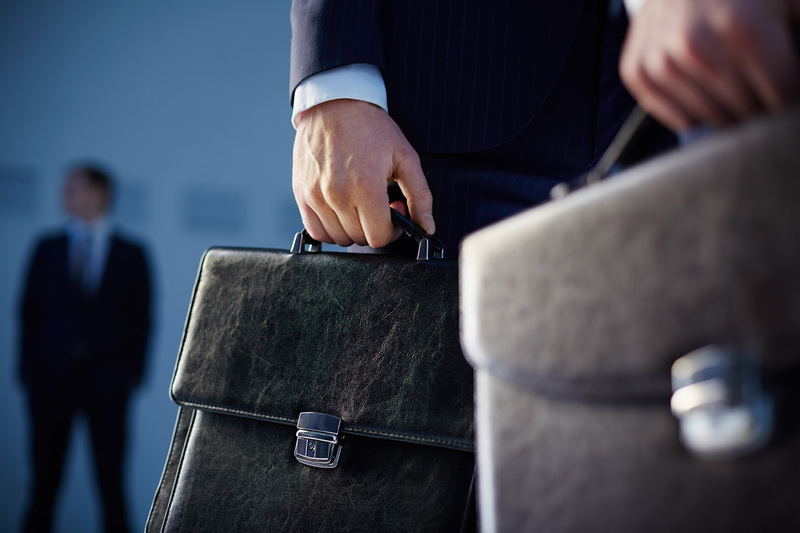 Early in our journey, those individual emotions inside our Griefcase are like separate manila folders found in any ordinary briefcase, each tab labeled with the contents inside. Yet, the folders are at first jumbled, overstuffed, and so very confusing. Nothing seems to make sense, and the whole thing is overwhelmingly burdensome, and so very heavy early in loss. Because of that, we sometimes refrain from any actions, as the thought of the emotional weight serves to anchor us in place. If we do carry on with it regardless of painful effort, it will get in the way at first, as we find ourselves stumbling over it as we try to move forward. Occasionally, we might even forget for a moment it is even there. We laugh, or begin to enjoy an outing, when suddenly we are to stopped in our tracks, as the chain which secures the Griefcase to our wrist has gone taught. It simply cannot be left behind and forgotten. The Griefcase certainly does not have to remain a heavy burden in our journey to a life of peace and purpose. Although it starts out disorganized, confusing and oftentimes frightening, we can face each emotion and begin to organize what is inside. We open the case, and then each folder, working through the confusion and removing such things as false anger and false guilt. We discover aspects within one emotion that actually belong in the file of another, or is possibly redundant. We can simply ball those up and toss them out. Then, by addressing each folder, and not allowing any to remain untended, we slowly begin to lighten the load. While it certainly will not be easy, and it will be a lifelong task, your Griefcase will slowly become less of a burden in your journey. Take heart, fellow grievers. Although we never wanted the Griefcase, it will actually be a wonderful part of who we are to become. To realize this, we must be aware that we could never completely empty any of the emotional folders found inside, even if we tried. Yet, we must always strive to discard all that which is false, harmful or unnecessary. What remains will be the experiences that touched our soul, regardless of how agonizing. These are the foundational building blocks of becoming an amazingly compassionate supporter, with honest empathy, and a true desire to be there for others on the same journey. This is one of the blessed gifts our loved ones left for us. 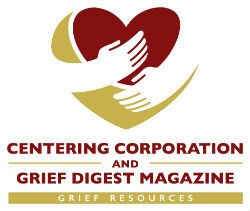 However, if you should find yourself having difficulties working through the folders within your Griefcase, I want to bring one folder in particular to your attention. Every one of us will have this folder, and it can always be found in that pocket inside the lid. It is boldly labeled, “Unconditional Love.” It is already well organized and contains all it should, and actually has room to add more over time. If ever you find yourself feeling the overbearing weight of the Griefcase, and despondency seems to be the norm, reach up and pull out that file. Allow the unconditional love you feel for the one you lost to lift you up, so you may face the other dark files in the case, and continue your journey forward. On a final note, as you remove all the confusing emotions from your Griefcase, not only will it be lighter and far less a burden in your daily life, but it will also have some available space inside. That space belongs to you. Why not give yourself a break and toss in some sunscreen and flip flops? You deserve some peace. R. Glenn Kelly is a writer, public speaker, Grief Support Advocate, and grieving father. After the tragic loss of his teenage son, he left behind the corporate world to work exclusively with bereaved men, and the women who want to understand them. R. Glenn is the author of the self-help book, “Sometimes I Cry in the Shower: A Grieving Father’s Journey to Wholeness and Healing,” and has appeared on television, support workshops and even college universities to discuss moving forward towards the new normal in recovering from traumatic loss. Look for Sometimes I Cry in the Shower in paperback and eBook on-line at R. Glenn’s website, grievingmen.com, Amazon, Barnes and Noble and bookstores everywhere. If you would like to enlist R, Glenn Kelly for speaking engagements, interviews, articles or support, please go to www.grievingmen.com or contact him by email at rglennkelly@rglennkelly.com or @rglennkelly on Twitter.